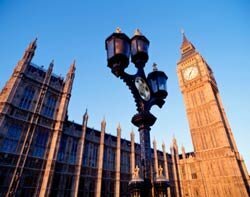 The government has released guidelines to help public sector organisations deploy open source systems. The document, entitled All About Open Source, is to be used as part of the "toolkit for procurers" as an introduction to open source software. "Open source is part of a wider focus on lowering barriers to participation, including for SMEs, reducing vendor lock-in, increasing use of open standards, improving competitive tension and reducing the overall costs of government IT," said the government. Mark Taylor, founder of small open source software company Sirius, has worked with the Cabinet Office on the input of the guidelines. "They have been a long time coming, but a lot of thought has gone into them and for that the government should be commended," he said. Although the use of open source is not a mandatory requirement, Taylor believes the publication of this document will lead to a greater up-take across the public sector. "There are public sector organisations taking a 'wait and see' approach to open source. The publication of this document signals a step forward. While I'm not expecting to wake up tomorrow morning and see departments start ripping out their proprietary systems, I do believe there will be an uptake of open source across the public sector as a result of this document." However, measuring the current usage of open source in the public sector remains a problem, he says. "I've had this conversation with the Cabinet Office - you can't manage what you can't measure. We're relatively clear on the uptake of open source in the private sector, so if we had a measure for the public sector we could compare the difference in usage." Several months ago the Cabinet Office was discussing the possibility of creating an ICT asset register to track all government software usage designed to identify what was open source, but Taylor says he is not aware of any updates on this proposal.